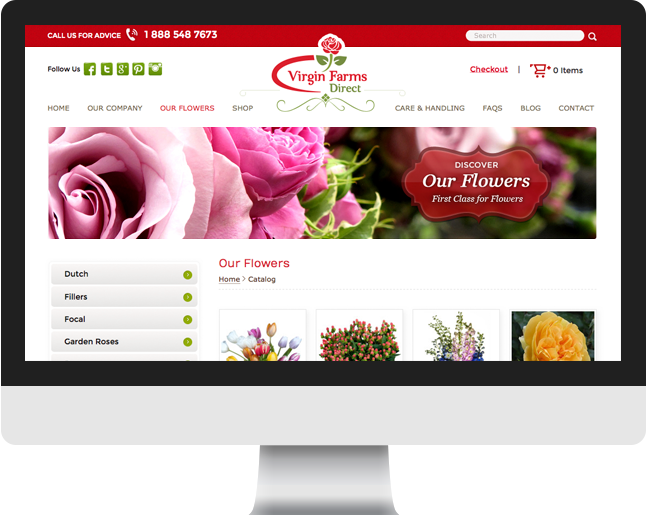 Since 1997, Virgin Farms Direct has been serving well-known florists and event designers with their signature First Class flowers and service. 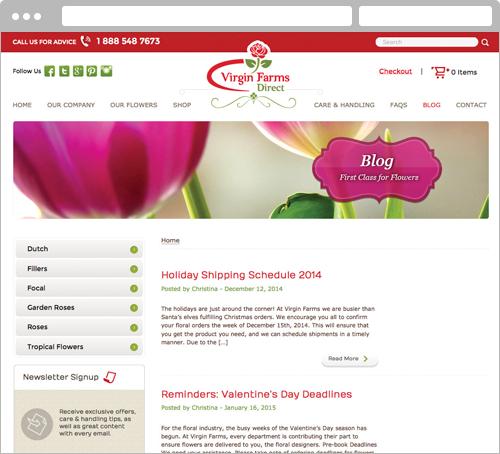 With the goal of having a simplified navigation, an attractive website design, and integrated social media sharing capabilities, Cultura Interactive was hired by Virgin Farms to redesign their existing website. 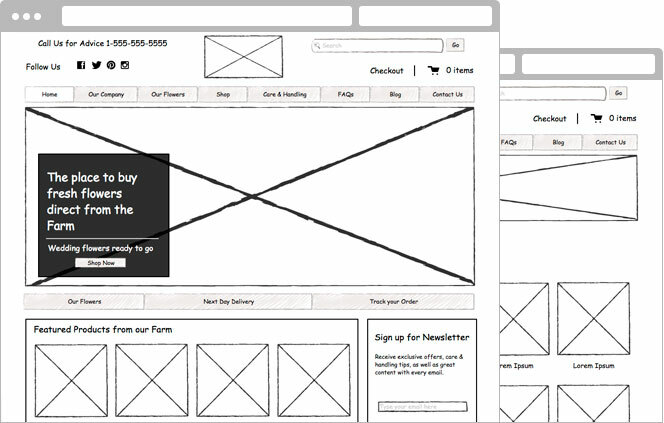 Wireframes are visual guides that represent the framework of a website. 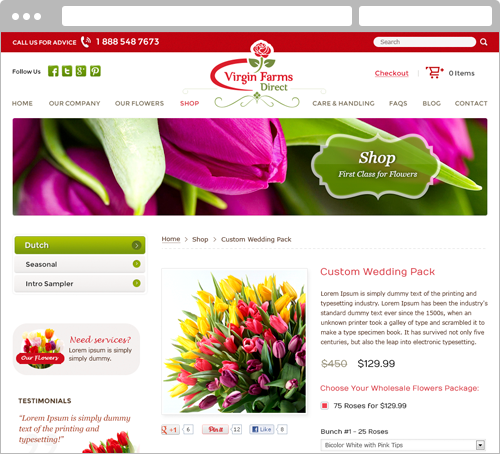 Since Virgin Farms offers a great selection of seasonal floral packages, it was important to integrate elegance and an attractive interface to represent the company’s objectives. 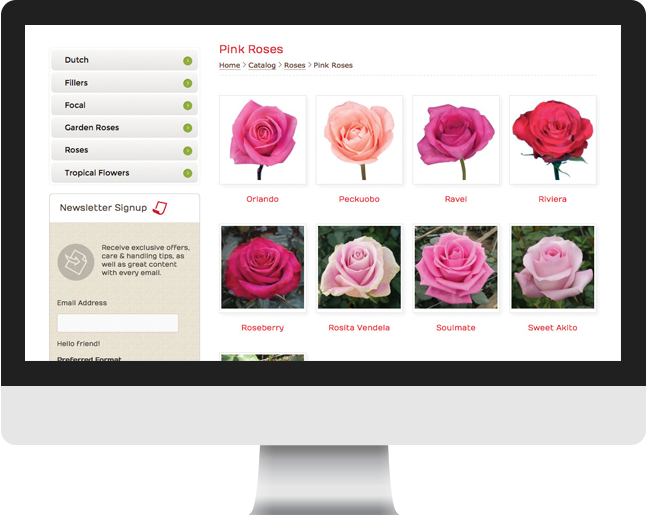 The new website needed to have e-commerce capabilities to order pre-packaged flower combo boxes, or create boxes from available preset varieties. After the custom packing process, customers can choose the shipping date and receive their order the very next day with their renowned First Class shipping service. 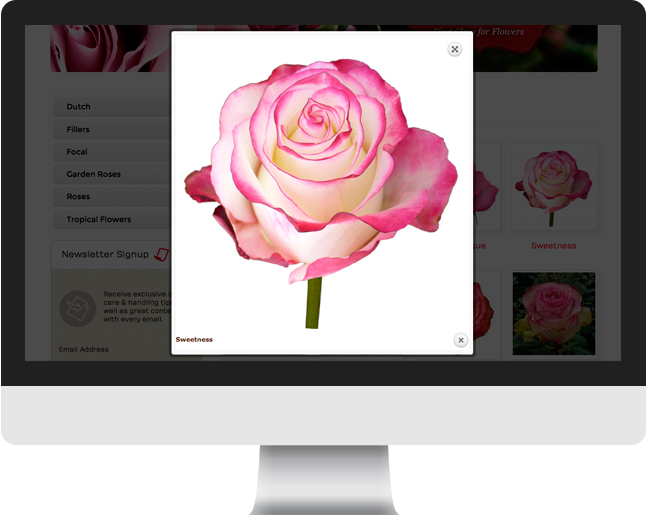 Their floral catalog was reorganized and updated with new photos. 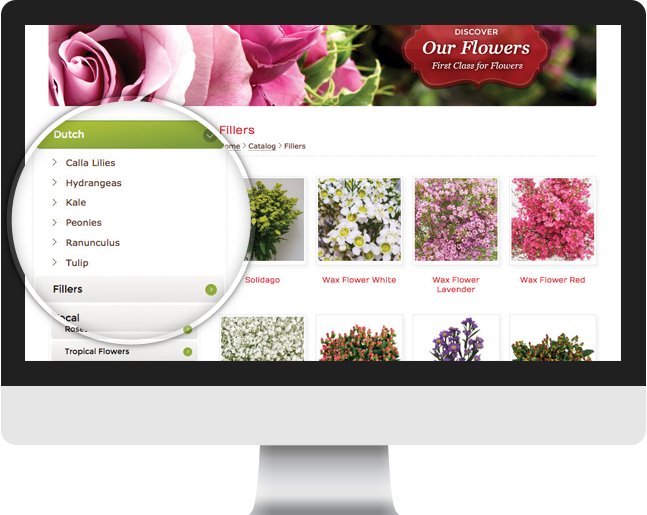 Customers can now search by category and color to browse through the spectacular varieties they offer. Through their blog, they will be able to publish interesting floral tips and trends, contests, reminders, and inspiration for floral designers and event planners around the world. Cultura Interactive offers innovative web design and business solutions. Cesar and his team gave life to our website creating a modern aesthetic, while maintaining a professional presence. 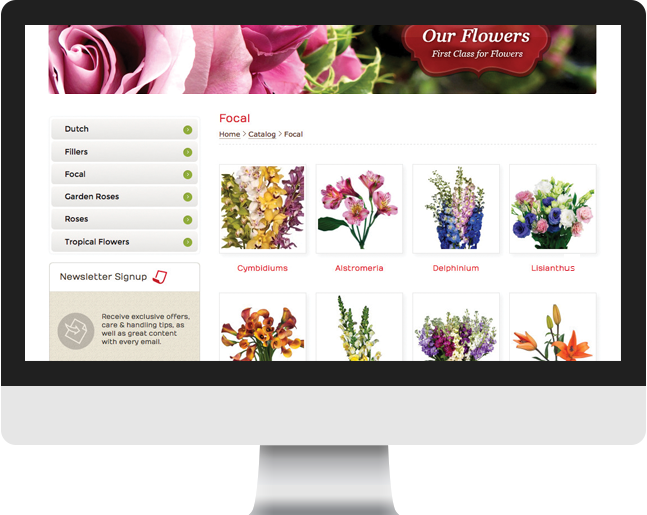 The website features social media integration, an attractive floral product gallery with collapsible menu, customized e-commerce, and subscription forms to increase lead generation. 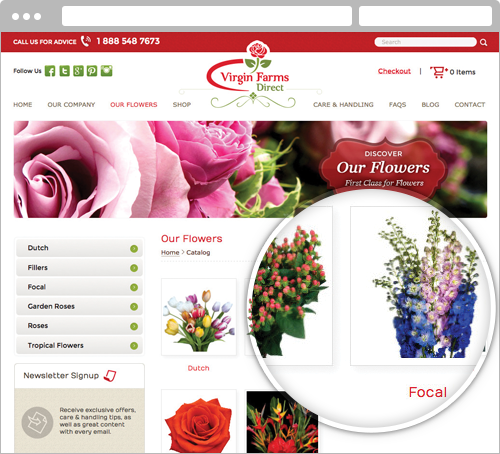 We highly recommend Cultura Interactive to businesses in need of a fully customized website.